4 Bedroom Detached House For Sale in Leyland for Offers in the region of £370,000. 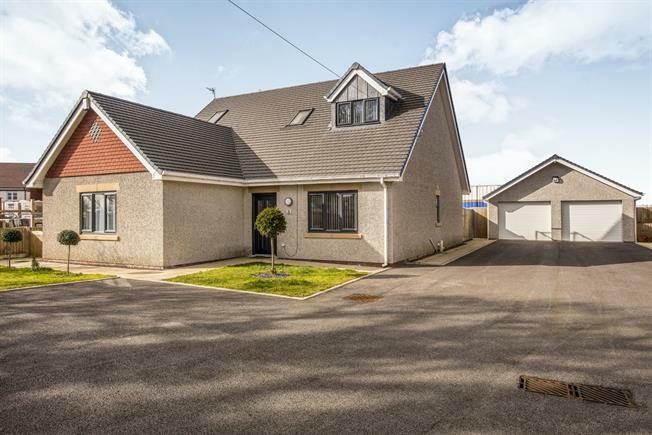 FEATURED IN THE BIG OPEN HOUSE Sat 27th April 2pm - 4pm Call to book your viewing slot! Architect designed detached property constructed in 2016, built by Lulworth developments, a select development within Farrington Moss, this location benefits from superb motorway links, short distance to neighbouring towns including Leyland, Penwortham and Bamber Bridge, a popular village style location; built to a high specification we are delighted to offer this to a variation of buyers, with it's versatile layout including open plan living to the rear which contains a living, dining and kitchen area with double doors into the orangery, three generous size bedrooms to the ground floor with one benefiting from an en-suite, family bathroom and utility; to the first floor is one of the main features to this home being the master suite which offers a large bedroom with balcony, dressing room which leads to to a four piece bathroom suite; to the outside the home benefits from parking, single garage and an easy maintenance garden to the rear. Please note this property is still within its builders guarantee. Double glazed UPVC window facing the rear and side, radiator, engineered wood flooring, spotlights, roll edge work surface, wall and base units, one and a half bowl stainless steel sink with mixer tap, electric oven, integrated microwave, gas hob with over hob extractor, integrated dishwasher. UPVC sliding double glazed doors opening onto the garden, radiator. Double glazed UPVC window facing the size, heated towel rail, tiled walls, spotlights, low level WC, corner shower, semi-pedestal sink. UPVC double glazed window facing the front, radiator, engineered wood flooring. UPVC double glazed window facing the rear, radiator, engineered wood flooring. UPVC double glazed window facing the side, heated towel rail, tiled walls, spotlights, low level WC, panelled bath, shower over the bath, semi-pedestal sink. Double glazed velux window facing the front, radiator. UPVC sliding double glazed door opening onto a balcony, double glazed UPVC window facing the front, radiator, engineered wood flooring. Double glazed velux window facing the front, heated towel rail, part tiled walls, spotlights, low level WC, sunken bath, walk-in shower, semi-pedestal sink.